The theme for today is anything and everything to do with vellum! I hope you enjoy my vellum infused project! I love adding soft touches of vellum to my hand made cards. The little sprigs of vellum that are layered with my die cut leaves here add the perfect subtle detail that is needed to make this card a wee bit more fancy than average. I am not sure if it is noticeable in the photos, but I also dry embossed a piece of vellum with the Stampin' Up! Tin Tile Dynamic Textured Impressions Embossing Folder. It is hiding behind the "Happy Birthday" sentiment. Not only did I dry emboss this small piece of vellum, but I covered it with the Stampin' Up! Frost White Shimmer Paint. 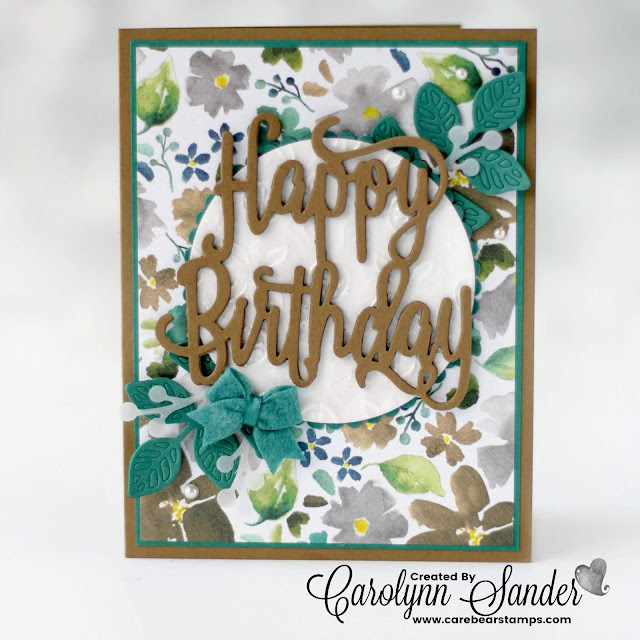 The shimmer paint gives the vellum a pearl finish which coordinates just perfectly with the Stampin' Up! Frosted Floral Specialty Designer Series Paper. Well that's it for my vellum inspiration today, but I know that the rest of the Be Inspired Design Team has much more to share with you! 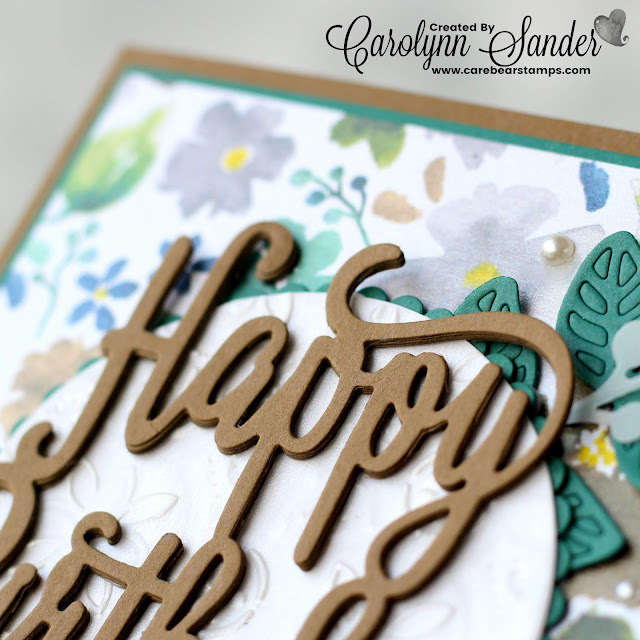 Up next in today's blog hop is my talented friend Janneke de Jong! I can't wait to see what she has to share with us! Oh I see!!!! Love that you dry embossed it!!! Awesome!